Buying products made from recycled materials is just as important as recycling itself. It helps communities get a good price for their recyclable materials and gives business an incentive to keep the cycle going. 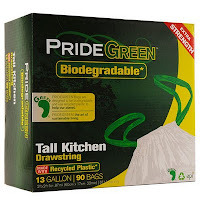 I noticed Harris Teeter has apparently discontinued their Naturals trash bags made from recycled plastic, so I went online looking for an alternative. 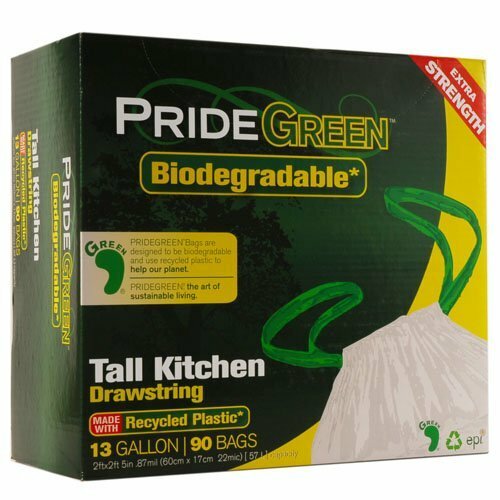 Amazon carries PrideGreen bags, which are not only made with recycled plastic, but contain an additive that helps them biodegrade faster. And at a price as low as 18 cents a bag (with free shipping), they're competitive with bags made from freshly-drilled petroleum. I can't make the movie, but just contributed $25 anyway to show my support for the Virginia Progressive Caucus. You should too & ActBlue makes it easy, so go give $5, $10, $25 or more right now. I'm sure you'll be shocked to hear that Hinton is also a Facebook fan of Glenn Beck and Rep. Joe Barton (R-TX). Obviously this email was not exactly vetted by AEP's public relations wing. But it's more revealing than a thousand press releases that Hinton doesn't even bother to make any sort of factual argument and goes right to the personal attack, 2011's preferred climate science denier strategy. AEP lists $50 billion in assets, has spent more than $30 million on lobbying in the last four years alone, and gives millions to candidates for office (mostly Republicans) like Rep. Robert Hurt (R-VA). Yet this little blog is so powerful that one of its employees feels the need to send me threatening emails? AEP's entire business model depends on Americans turning a blind eye to the fact that its profits depend on socializing the impact of its pollution while privatizing the profits. AEP is America's biggest carbon polluter and was ranked 40th in the Political Economy Research Institute's Toxic 100 list of America's biggest polluters. Information is AEP's enemy - the more Americans know about how companies like AEP get rich off treating our skies like an open sewer, the more likely they are to support proper pollution regulations. No wonder America's corporate elite finds the Occupy Wall Street movement so menacing. The New York Times' Green Blog digs into some polling data from the Saint Consulting Group and finds hypothetical "wind farms on the ridge above one’s home" polls better than any other potential local energy project, with a full 70% in support of local wind power. Even Tea Party members would rather see a local wind farm than a local oil drilling project or new conventional power plant. Makes you wonder why people like Sen. Mark Warner (D-VA) think oil drilling off Virginia is "centrist" when 55% of Americans say they wouldn't want oil drilling to take place in their community. Last month, Richmond won its bid to host the 2015 UCI Road World Championships, bringing the nine-day event to the United States for the first time since 1986. The elite racing series is projected to have an economic impact of $86 million in town, and $130 million in the region. But more importantly, bike advocates in Richmond, including its recently converted mayor, Dwight Jones, are hoping the event will prompt new bike infrastructure, new bike commuters, new jobs in bike-related industries, and even new businesses interested in relocating to a “bike-friendly” city. So the city has committed to building new infrastructure to accommodate the championships (which will run primarily through a 10-mile circuit within the city’s urban core), but it’s also planning to use the championships as an excuse to ramp up bike routes and programs not necessarily intended for the international cycling elite. By 2015, the region plans to have completed a 52-mile paved trail from the state capitol in Richmond to the old capitol of Williamsburg, so tourists will be able to take in the entire Virginia “Historic Triangle” without setting foot in a car. Richmond also plans to expand the trails along its riverfront, knit together its existing greenways, and install more bike lanes and bike parking, all while rolling out outreach programs that will help translate cycling from an international spectator sport into a local commuting solution. One-time events often don't have the impact their sponsors tout (see: the DC Le Mans fiasco in 2002). But if this race is an excuse to give Richmonders a cheap, easy, zero pollution way to get around, why not? Heck, I don't even own a bike, but a Richmond-to-Williamsburg ride sounds like a fun weekend. Will there be any brewpubs near the trail? So we're not doing climate mitigation, like cutting carbon pollution. 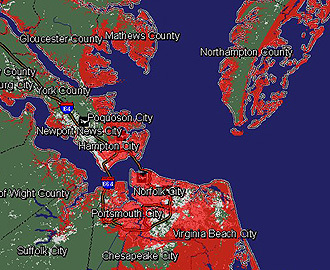 And as an event just last month at NASA's Langley Center in Hampton pointed out, we're not doing climate adaptation, either, like coastal restoration & limiting development in areas just above sea level. Basically, if you were consciously trying to leave the worst possible situation for the next generation, you'd be doing exactly what people like Gov. Bob McDonnell are doing now - deny the problem & delay solutions. And note the 2070 date - we're no longer talking about forecast impacts on some future generation, but real changes happening within the lifetimes of the children in your family right now. Amazing that the same people who profess such a concern with our budgetary national debt have no qualms about leaving our kids stuck with a multi-trillion-dollar climate liability. Did you know Virginia is home to 14 National Wildlife Refuges? Learn more about National Wildlife Refuge Week and check out a map of Virginia's refuges to find one near you. What Good's An SUV If You Can't Afford To Drive It Where You Want To Go? Conservatives love to paint personal vehicles as the pinnacle of freedom, fuel efficiency standards as the government boot on the neck of Lady Liberty, and walkable communities, car sharing & public transit as creeping communism. But an experience last weekend made America's oil-addicted transportation culture seem more constricting than liberating. 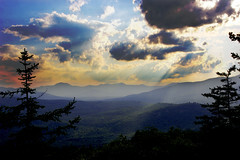 I was up in New Hampshire hiking the Boulder Loop Trail off the Kancamagus Highway in the White Mountain National Forest near the town of Conway. The trail walk to the top of Moat Ridge gave us beautiful views of the surrounding mountains as well as the Swift River running through the Passaconaway Valley. We were hiking with a couple in their 20s who'd brought their 3-month-old baby along. Except for her request for lunch, we barely heard a peep from the baby the whole hike, she was perfectly happy gently bouncing along in her baby carrier. As we got back to the parking lot, mom said she'd had a great time and wanted to hike more often for regular exercise. I suggested making a routine of it - finding a favorite spot and going for a hike, say, every Sunday. "Well ... maybe every couple of weeks," she said. Why not more often? 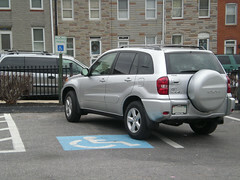 "This thing," she sighed, pointing to her SUV. "I couldn't afford to drive the hour and back to the mountain every weekend." Over the longer term, President Obama has taken steps to significantly increase fuel efficiency in new cars, trucks & SUVs. But in the short run, families need to consider all the consequences of owning a gas guzzler. I understand the desire for a roomy vehicle to lug around car seats, strollers & such. But what good is owning that vehicle if it means you can't afford to get to the places you want to go? So I waited for the closing credits. Sure enough, as the "sponsors" frame flashed for only a moment, Exxon Mobil helped fund the series. Once again, it's a shame that networks that profit from the wonders of nature aren't doing more to protect them. Can We Outrun the Climate Firestorm We're Stoking? Is it time to stop talking about the low end of climate change predictions? Until now, I've thought of our climate choices as "mild disruption," "wrenching calamity," and "civilization-threatening catastrophe," depending on how quickly and seriously we act to cut carbon pollution. But reading Jeff Goodell's Rolling Stone article on Australia's grim future, I wonder if our continued inaction is putting that first option in the rear view mirror. The United Nations International Panel on Climate Change issued its 4th Assessment in 2007, predicting a low carbon emissions scenario would see a rise in temperatures by 2100 of about 2 degrees Celsius (about 3 degrees Fahrenheit). The UN continues to cite that 2 degrees C as its goal for maximum temperature rise. How bad could it get? A recent study by MIT projects that without "rapid and massive action" to cut carbon pollution, the Earth's temperature could soar by nine degrees this century. "There are no analogies in human history for a temperature jump of that size in such a short time period," says Tony McMichael, an epidemiologist at Australian National University. The few times in human history when temperatures fell by seven degrees, he points out, the sudden shift likely triggered a bubonic plague in Europe, caused the abrupt collapse of the Moche civilization in Peru and reduced the entire human race to as few as 1,000 breeding pairs after a volcanic eruption blocked out the sun some 73,000 years ago. "We think that because we are a technologically sophisticated society, we are less vulnerable to these kinds of dramatic shifts in climate," McMichael says. "But in some ways, because of the interconnectedness of our world, we are more vulnerable." With nine degrees of warming, computer models project that Australia will look like a disaster movie. Habitats for most vertebrates will vanish. Water supply to the Murray-Darling Basin will fall by half, severely curtailing food production. Rising sea levels will wipe out large parts of major cities and cause hundreds of billions of dollars worth of damage to coastal homes and roads. The Great Barrier Reef will be reduced to a pile of purple bacterial slime. Thousands of people will die from heat waves and other extreme weather events, as well as mosquito-borne infections like dengue fever. Depression and suicide will become even more common among displaced farmers and Aborigines. Dr. James Ross, medical director for Australia's Remote Area Health Corps, calls climate change "the number-one challenge for human health in the 21st century." Politicians & the media focus almost exclusively on the cost of switching to clean energy. 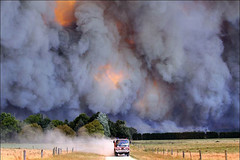 But Australia's case is a reminder that the cost of climate inaction would be far higher. You can read the whole article here, but as I've written before, buying the newsstand version is a vote with your wallet to keep good environmental journalism coming. 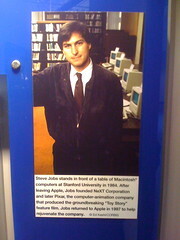 Steve Jobs made a lot of amazing products that made a lot of people's lives more enjoyable. He made a ton of money for his employees, his investors and himself. But I can't help but consider his passing with some regret. 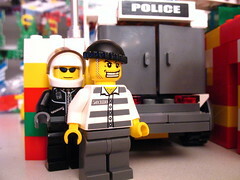 Jobs had opportunities to use all that power for greater good, but turned them down. [In 2007] the founder of the Stanford Social Innovation Review called Apple one of "America's Least Philanthropic Companies." Jobs had terminated all of Apple's long-standing corporate philanthropy programs within weeks after returning to Apple in 1997, citing the need to cut costs until profitability rebounded. But the programs have never been restored. Steve Jobs leaves a legacy of innovation. I just think it's a shame his rivalry with Bill Gates didn't transcend to higher callings. 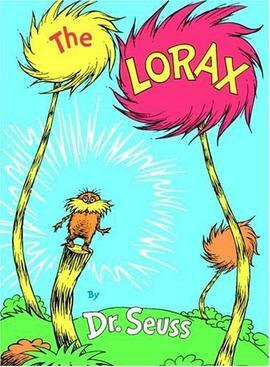 What's Occupy Wall Street & Why Should Climate Hawks Care? And why should climate hawks care? 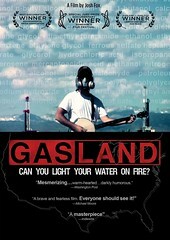 Learn more at OccupyWallSt.org and show your support by donating. Two days after I posted about how global warming might bring armadillos to Virginia, the Washington Post's Post Local did the exact same story. How do I know they stole the story? The Post calls it a "new" report, but that's not true - it came out in June. I started a post on it in June but never finished it, and it sat in my drafts file until I needed some new content & published it this week. Bloggers are happy to share ideas and content for free - all we ask for is attribution, the same courtesy that paid journalists extend to each other when one breaks a story. And come on, considering The Washington Post Company pulled down $547 million in operating income last year, while The Green Miles does this in his spare time for free (refusing paid ads), would a courtesy link be too much to ask? Apparently so. I wouldn't publicly point it out, except the Post steals from local blogs all the time. Just last month, the Post-owned Fairfax Times stole a quote from ArlNow.com without attribution. Isn't it silly for an enormous media conglomerate to have a policy of stealing from the little guy, especially when doing the right thing is so easy? And how's this for hypocrisy? The Post has expressed outrage when blogs excerpt the Post's work, even WITH full credit & links back. Gawker's Gabriel Snyder fired back an epic rebuttal. It doesn't have to be this way. NBC4's NBCwashington.com has used my posts for story ideas several times (including the armadillo story) and always cites my original post with a quick link back. Everybody's happy! I emailed the Post this morning asking why they didn't provide a link. From what I've heard from other bloggers who've had their work taken by the Post without attribution, I'm not expecting to hear back, but will update this post if I do. 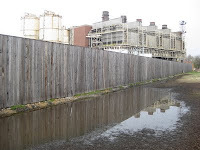 There's been a wave of closures recently at the oldest, dirtiest, most-polluting coal-fired power plants, including GenOn's Potomac River Generating Station in Alexandria and Dominion's Chesapeake Energy Center and Yorktown Power Plant. The key thing to remember is that these are some of the most heavily subsidized jobs in the U.S. economy. They are subsidized at a level that makes anything Obama did with the stimulus bill look like pocket change. And these subsidies are not investments that pay back over time, like loans to innovative renewable energy firms. These subsidies come in the form of babies with birth defects, asthmatic kids, and adults with respiratory and heart ailments. These subsidies pay negative returns. They subtract value. All in the name of propping up a dying industry. The Alexandria plant alone is estimated to kill 37 people & sicken hundreds of others every single year. But the coal industry keeps looking for someone to blame, and it's not just on the human costs of its pollution. As Coal Tattoo's Ken Ward Jr. reports, coal companies are desperately trying to pin falling Appalachian production on regulations & conservationists. That's instead of accepting the simple fact that the low-hanging fruit of Appalachian coal has long since been picked and what little is left is getting more & more expensive to blast out. For today's coal industry, reality is hard to face. 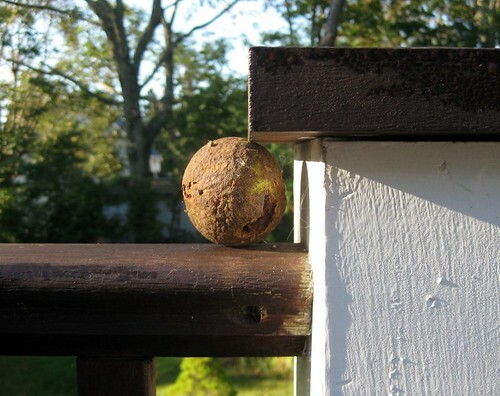 I was at my aunt's house in Somerset, MA a couple of weeks ago and noticed this black walnut tucked under post on her porch. She said the squirrels in her yard frequently "hide" fall nuts in spots that are in no way hidden. The consequences of such changes are unclear. 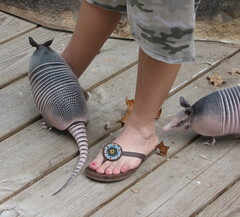 Armadillos are a welcome help to residents dealing with fire ants, a big concern in the South, McDonough said. But they're also a nest predator and could put added pressure on local quail populations already trying to defend against possums, raccoons and snakes. [University of Michigan biology professor Philip] Myers' research in Michigan, meanwhile, suggests southern species are replacing northern ones, rather than simply slotting into the local fauna. "To predict the impact of adding a chipmunk or subtracting a mouse, you have to know a lot more about the natural history of the communities than we do ... 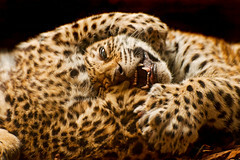 Potentially there are huge changes that could be a consequence of messing around with the species present," Myers said. See a map of the armadillo's projected range at DailyClimate.org. The quail connection is an example of the cascading effects of the climate crisis. Even if a quail can survive in a region that's rapidly becoming warmer & wetter, it may not survive a new predator moving into its habitat. It's also a major reason so many sportsmen have become climate activists.